The city is ranked second in terms of talent retention, and fourth in the ability to build global knowledge. It comes eighteenth in the overall Global Cities Talent Competitiveness Index. 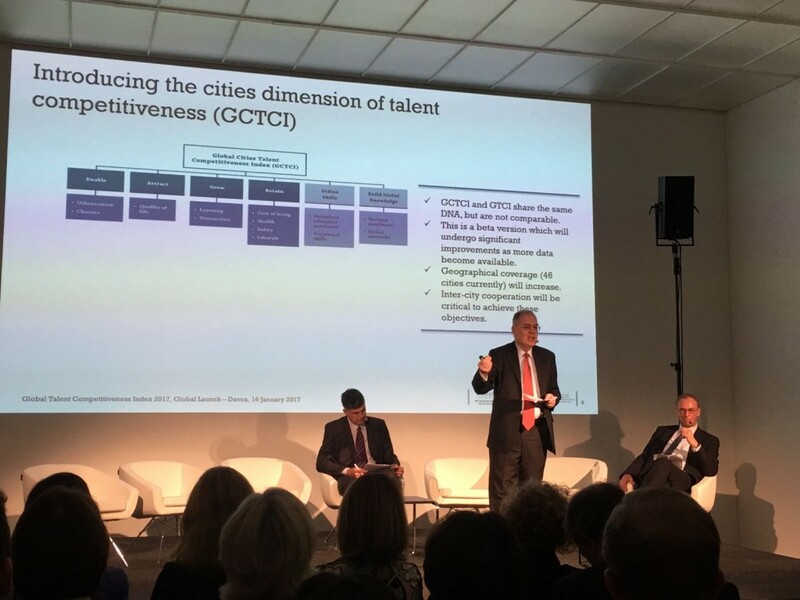 The metropolitan area of Bilbao is one of the leading cities in retaining talent and building global knowledge, according to the Global Cities Talent Competitiveness Index (GCTCI) presented in Davos (Switzerland) this morning. 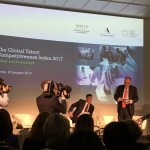 The official launch of the first world index to assess talent competitiveness in cities took place ahead of the annually-held World Economic Forum, following the European pre-launch in Bilbao in December. 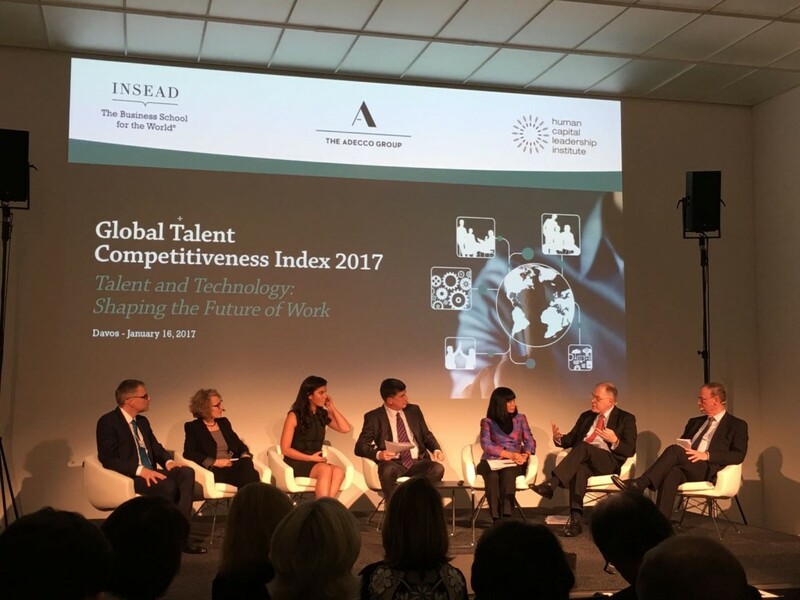 The GCTCI index is part of the Global Talent Competitiveness Index of countries, presented every year by prestigious business school INSEAD, together with Adecco, and Singapore’s Human Capital Leadership Institute (HCLI). Ivan Jimenez, managing director of Bizkaia Talent, an association launched by the Diputación Foral de Bizkaia (Bizkaia Regional Council) was invited to attend. He said: “Cities and regions not only compete for talent – they often act as leaders who define new ways to grow, attract and retain talent”. He added: “Globally competitive and locally relevant, the cities and regions attract outside knowledge and identify new roles and opportunities for themselves in the global economy”. 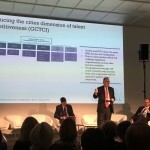 The index also shows that thanks to connectivity in transportation and communications, and better quality of life, cities with populations under two million outperform the major capital cities in the six variables assessed by the GCTI: enabling, attracting, growing, and retaining talent; utilising skills; and building global knowledge. Based on these criteria the index lists cities’ rankings. Bilbao is at number 18, ahead of cities such as Barcelona (20), Bologna (26), Zaragoza (30), Milan (31), Turin (35) and Mexico City (39). At first position is Copenhagen, which has become the world’s most attractive capital city for innovative talent. It is followed by Zurich, Helsinki, San Francisco, Gothenburg, and Madrid. These metropolitan areas are successfully attracting emerging talent, and boosting innovation, foreign investment, and local economic development. And this of course means they are also acting as magnets for large companies. The report shows another trend: top professionals are no longer moving towards cities with the best jobs – jobs are moving to where the best talent is. To attract well-qualified professionals, capital cities must now offer connectivity and a pool of outstanding local talent as well as the usual financial and geographical advantages. Bilbao is amongst the leading metropolises in terms of talent retention according to the index – in second place of the global TOP 10, and comes fourth place for building global knowledge, ahead of cities such as Madrid, Dublin, and New York. It is in the top ten of two out of the four pillars the overall index is based on. 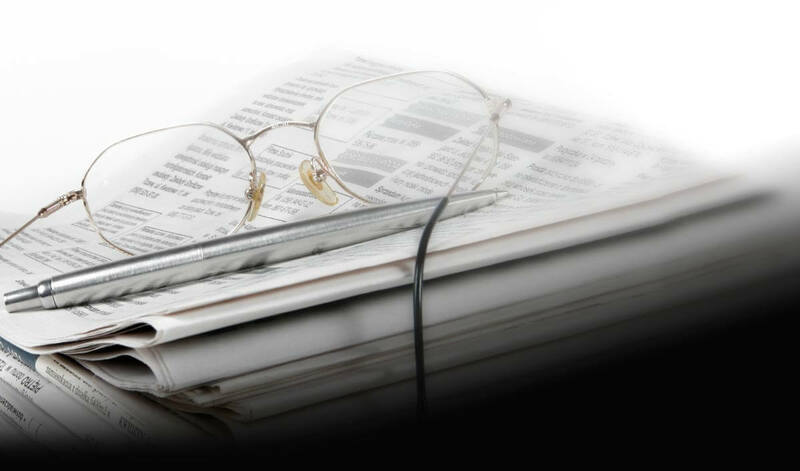 “The study will give the area of Bilbao, Bizkaia, País Vasco the opportunity to measure both its strengths and weaknesses, staying abreast of challenges and needs in the coming years that are likely to result from a shortage of talent as well as movement of highly-qualified talent”, stresses Jimenez. The report is more than an international table of talent, it is a toolkit for governments, companies, and non-profit organisations across the world. The wealth of data and analysis is aimed at helping cities and regions overcome imbalances of talent and remain competitive on the global marketplace. Bizkaia Talent’s managing director concluded, “thanks to the study Bilbao’s key advantages as a metropolitan area have been brought to light: from its talent competitiveness to specific data on action points different players in the public, private, and academic sectors need to consider in the short and medium-term. 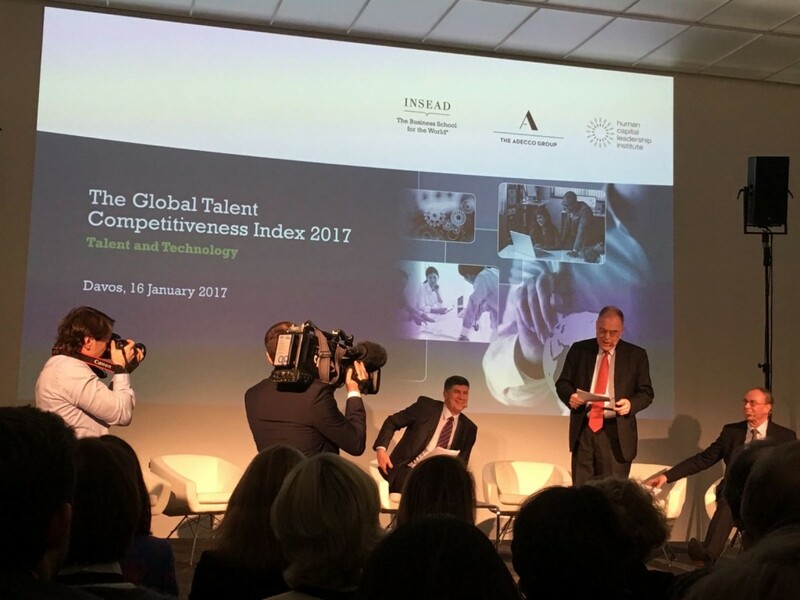 For more information go to the Global Talent Competitiveness Index 2017 official website.